Rungvisai sits a top of the flyweight division? 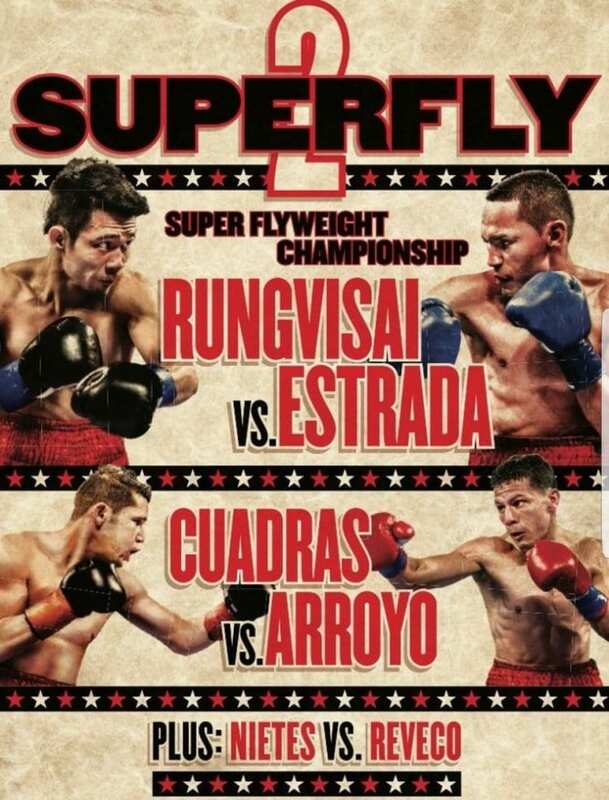 Srisaket Sor Rungvisai sits atop the division of super flyweight after a narrow but rightful win over Juan Francisco Estrada in an entertaining fight on HBO from Inglewood, CA. 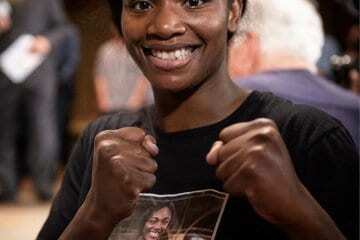 That being said it is hard to believe, but seemingly true that a brawling, seemingly journeyman emerged on a pay-per-view undercard to dethrone one of the marquee stars of HBO’s future, Roman “Chocolatito” Gonzalez. Rungvisai isn’t the most skilled fighter as he fell down multiple times during the fight from poor balance, but his will is unmatched as he put pressure on Estrada until he was able to make it a winnable fight as Estrada simply didn’t want to engage Rungvisai is spots. That being said Rungvisai is in need of a new coach which brings me to a great point that my friend and professional boxer Bruno Escalante brought up. Rungvisai has a lot of the tools a young Manny Pacquiao held, power large calves, good stamina and it would be interesting to see what Freddie Roach could do with such a fighter. It also was hinted in the post-fight interview that Rungvisai is open to going up to 118 lbs., which highly touted Naoyo Ionue currently moved up to recently. Could HBO be planning Rungvisai vs. Ionue? 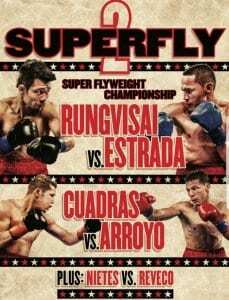 Puerto Rico’s McWilliams Arroyo who I remember vaguely from a FS1 card from a few years ago as well as losing dramatically to Roman “Chocolatito” Gonzalez, picked up the biggest win of his career by beating Carlos Cuadras in the co-main event of Super Fly 2. Arroyo, a quick starting power puncher who is willing to fight the elite of the division for his last few fights has more than likely another HBO appearance in his future and a potential world champion shot as well. With both Carlos Cuadras and Juan Francisco Estrada losing and the two of them fighting in a close bout in their last fight, it seems all, but certain the two will rematch each other in the near future. It is a fight that would be good, but also one that doesn’t move the needle as well. 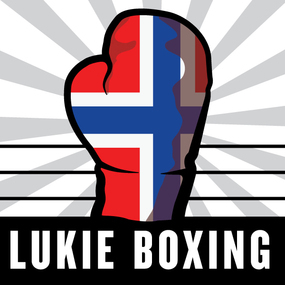 Nietes vs. Roman Gonzalez next? Donnie Nietes showed off all elements of his game against an overmatched opponent Juan Carlos Reveco, who had no answer for anything Nietes did other than absorb punishment until his corner waved the bout off after taking an incredibly hard right hand at the bell to end the sixth round before the bout was stopped in the next round. The question now persists that Nietes with such a strong showing on HBO and being an older fighter at the age of 35, seems like a perfect opponent for Roman “Chocolatito” Gonzalez in the near future if not next. As a kind person, I’d personally like to see Gonzalez return after a brutal knockout in his last outing against Rungvisai with a tune-up fight of sorts, but we are unsure if Gonzalez will be afforded such a luxury. If not, Nietes seems to be the perfect opponent as Gonzalez could fight at his optimum weight class of flyweight, not super flyweight, which Gonzalez seemed to be too small for. Nietes put on a very dominating performance, but one that didn’t seem to win over the fans in the arena meaning, Nietes may have trouble headlining future cards without a dance partner thanks in part to his style being too technical for casual fight fans despite a great stoppage win. In an off television bout, lesser-known Artem Dalakian outboxed Brian Viloria en route to winning the vacant WBA flyweight title. Dalakian, who won the bout clearly didn’t stand-out per say as he was deducted a point for pushing Viloria’s head down as well as a very questionable elbow landed on Viloria from Dalakian. Dalakian did enough to win and showed an ability to box, but nothing he did stood out and he left a feeling that he might not be the scrupulous fighter. In short, the bout was ugly and hard to watch with Dalakian not garnerning much goodwill as well. Joseph Diaz Jr. did what he was supposed to do against an outgunned Victor Terrazas, who sent to the canvas three times in the fight, twice in the first round and finally in the third round ending the bout. After the bout, Joseph Diaz Jr called out Gary Russell Jr. again as he is campaigning for the WBC featherweight title shot that he has rightfully earned, but there is a problem. Diaz Jr.’s promoter Golden Boy Promotions and Gary Russell Jr.’s advisor, Al Haymon found themselves in a contentious lawsuit that get very ugly seeing a majority of Golden Boy Promotions fighters leaving the company to fight under the Premier Boxing Championship banner (not promotion) as well as very foul e-mail referring to Al Haymon as a black racial slur (https://www.boxinginsider.com/columns/fools-gold-demise-golden-boy/) leaked out from the Golden Boy side showing that neither party is fond of the other very much. 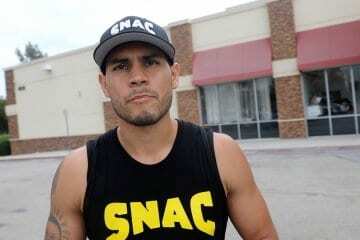 The fact is that despite Diaz Jr.’s insistence on the fight the powers that be have to get along and they flat-out don’t like each other, making the sanctioning body, the World Boxing Council, the most powerful player in this equation if they mandate the title defense they can set-up a logical progression for what is next i.e. either Russell gets stripped or the fight is made. Vergil Ortiz looks good, Chimpa loses again! Vergil Ortiz may only be 19-years-old but is showing elements of being a superstar if matched and moved adequately. Ortiz has good power, punches in the combination, works the body and seems to love the sport as well as being very hard on himself. Sure the level of competition wasn’t the greatest, but for a fighter with less than ten fights, it is very adequate. In what may be the last fight as a signed fighter to Golden Boy Promotions, Christian “Chimpa” Gonzalez got dominated from start to finish by veteran tough guy Rey Perez, who controlled the action from bell to bell. Gonzalez, who was knocked out in March of 2017 by Romero Duna seemed to learn nothing from the loss as he stood square walked in slowly and didn’t move his head as the veteran Perez racked up points and outworked the former prospect. In a fight that had a big fight feel for a small town, if that makes sense, Thomas LaManna and Gabriel Bracero left it all on the line as the fought to the bitter end in a crossroads fight in which never fighter wanted to be sent to the realms of being irrelevant. In a fight that was hard to score, it was one that was a fun watch as well as one in which both fighters stopped the other from imposing their will as it felt like ten feel-out rounds, but in a good way. I hope they have a rematch and that some fans who didn’t know it happened might get a chance to see it on the second go around. Flyweights Jonathan Gonzalez and Ricardo Rodriguez turned out to be one of the weekend’s hidden gems fought to a ten round split decision over Ricardo “Meserito” Rodriguez (16-6, 5 KOs) on Friday night at the Osceola Heritage Park Events Center in Kissimmee, Florida. The bout which was broadcast on Telemundo saw Gonzalez drop Rodriguez in the third round, but Rodriguez rally back applying massive amounts of pressure to Gonzalez late who appeared to fade. This is a GREAT WATCH! Also, 2016 U.S. Olympian Antonio Vargas picked up a unanimous decision win nothing was noteworthy about the performance other than he won. Vargas is building his record to get a bigger opportunity in the future. Super welterweight Edwin Soto came in seemingly as the opponent on FIGHT NIGHT LIVE, which is listed below as he fought Ray Oliveira Jr, the only problem was Soto didn’t seem to know. From the early onset, Soto looked to be the composed fighter as well as a more technically sound fighter as Oliveira was pushing punches and not moving his head towards the end of the first round Oliveira was nearly knocked out and by the start of the second the bout was waived off as Soto stopped the inexperienced Oliveira. You can watch the full fight by following this link below. Callum Smith defeated famed kickboxer and lesser known boxer Nieky Holzken to advance to the finals of the World Boxing Super Series super middleweight tournament to face George Groves June 2nd in the 02 Arena. Holzken took the fight on five days notice as Smith’s original opponent, Juergen Braehmer, pulled out of the fight with an illness on Monday of fight week. Anthony Yarde stopped Tony Averlant in seven rounds overseas as Averlant was unable to answer the bell. For Yarde, it was a developmental fight as Yarde looks to enter the world level competition in his next three to five fights. Heavyweight Daniel DuBois continued his KO streak to 7 in a row as he stopped DL Jones in the third round. DuBois has won every fight by KO in his professional career. The original Iron Boy Promotions fighter Alexis Santiago lost to Carlos Castro by way of tenth round stoppage as Santiago’s corner stopped the bout. The bout had some symbolic meaning as Castro was one of the original Iron Boy fighters, who would later jump ship to Mayweather Promotions for a brief period of time (in fact he might still be with Mayweather Promotions I am not sure), but nonetheless, it was a changing of the guard as Castro represents the new era of Iron Boy Boxing and Santiago passed the torched.